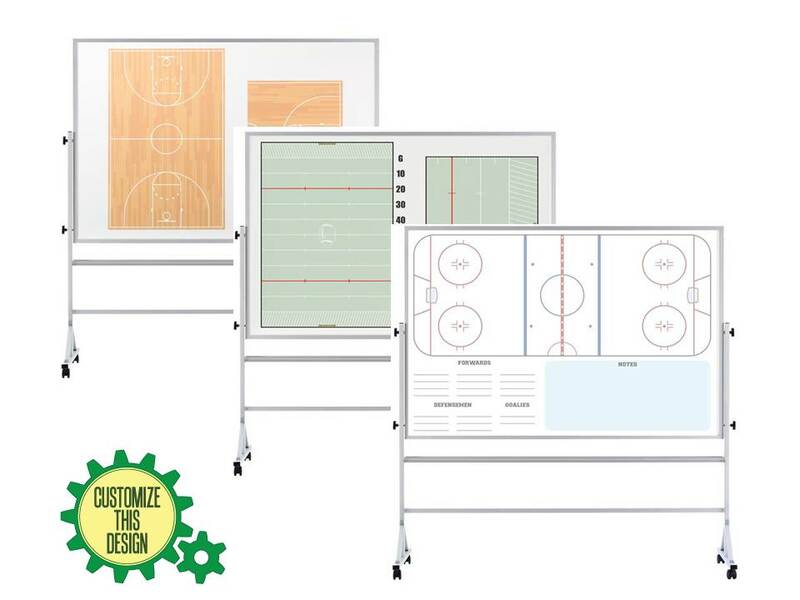 OptiMA dry erase sport boards on wheels. 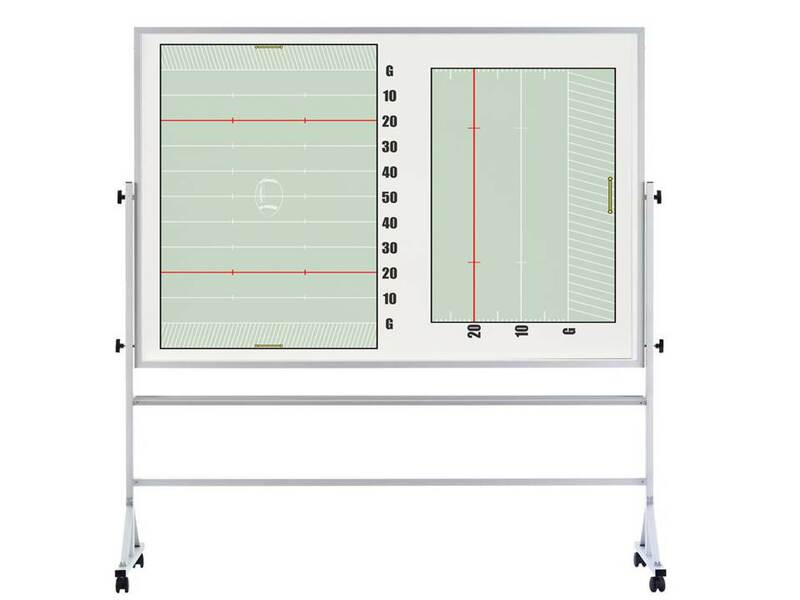 Fully portable and reversible dry erase boards with a sport field or court print on one side and a porcelain steel, dry erase writing surface on the reverse side. 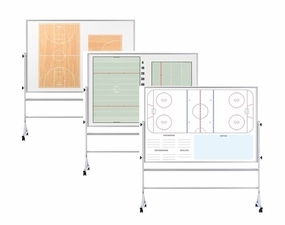 We start with one of the nicest portable dry erase reversible boards on the market and then we add one of our Opti-Print™ dry erase sport prints to one side of the unit. You can write on the sport print with either damp or dry erase markers. To use the other side of the board simply loosen the control knobs on the lower sides of the board and flip it over. The marker tray is attached to the frame and not to the board. 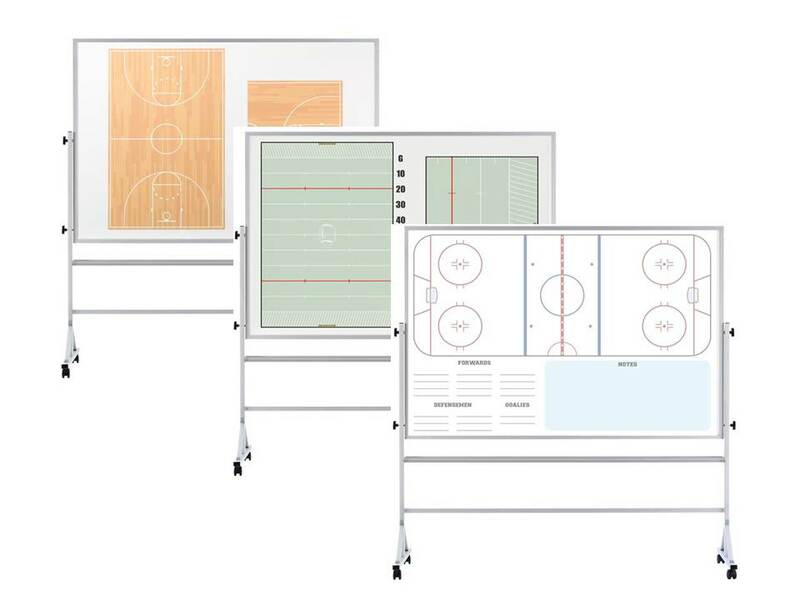 Select from basketball, football or ice hockey but of course we can customize this board for any sport you need or add any other custom design you want as well including school or team logos, special columns, headings, etc. There is a small one-time art fee for custom boards and customer service will be happy to help you with that. 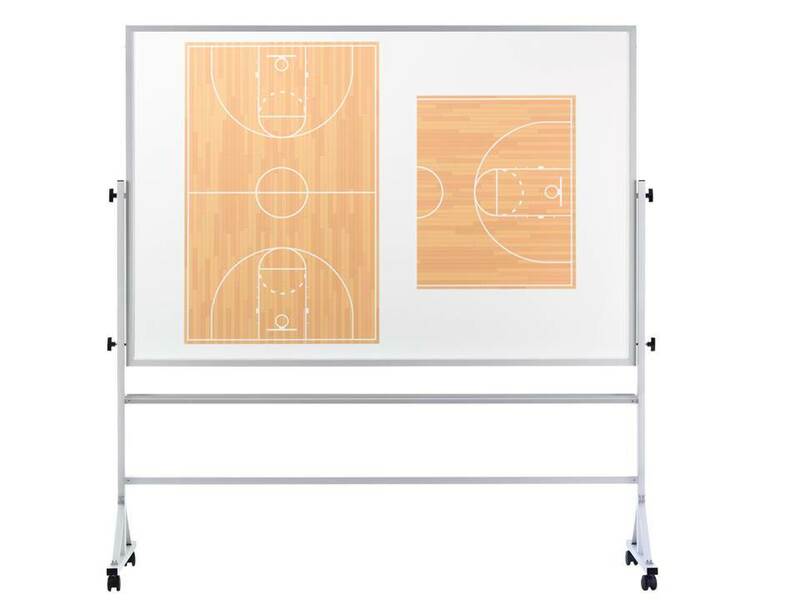 Take the strategy and planning with you out onto the field or the court with OptiMA dry erase sport boards on wheels. 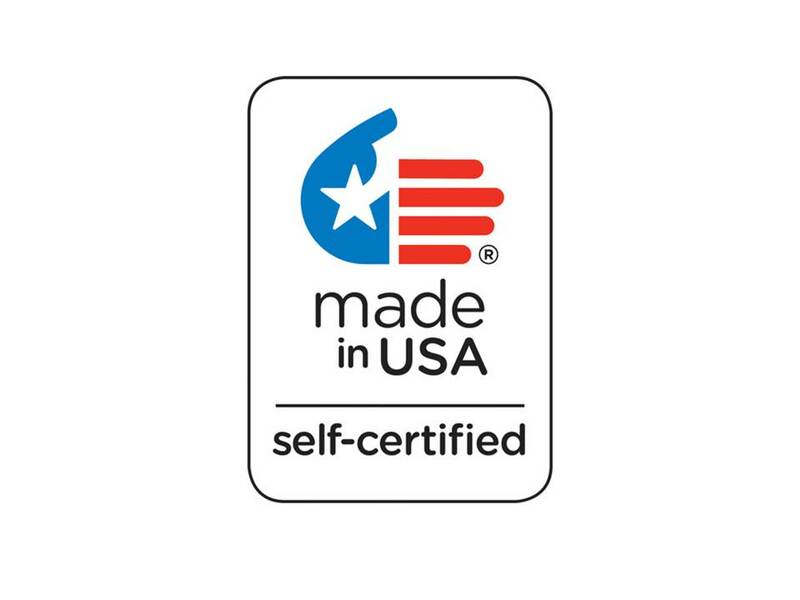 All made in the U.S.A.
GR-RA-46S-BB 4' x 6' Basketball Truck* 85 lbs. GR-RA-46S-FB 4' x 6' Football Truck* 85 lbs. 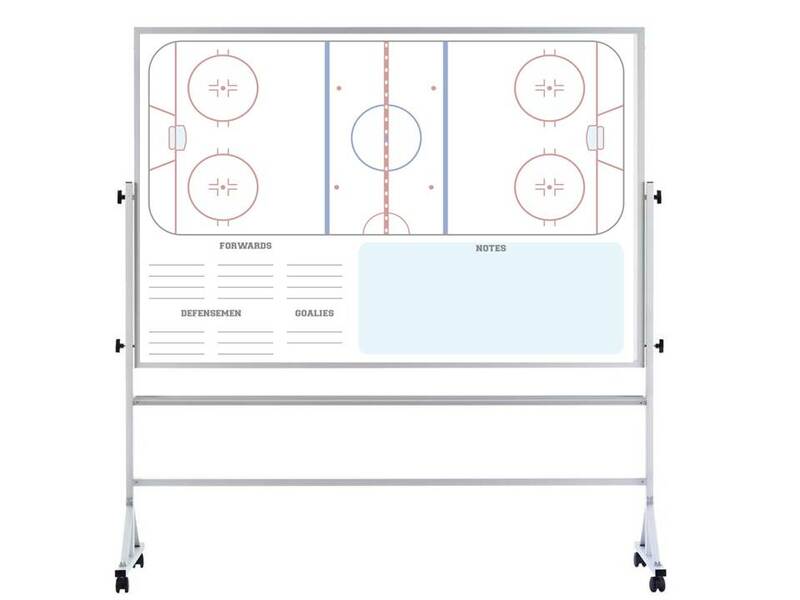 GR-RA-46S-IH 4' x 6' Ice Hockey Truck* 85 lbs. Note that Expo or other Bristle type erasers may permanently damage the writing surface. Do not use any cleaning chemicals which contain ammonia. Most glass cleaner contain ammonia. Do not use any type of scrubbing sponges or other abrasive to clean the boards. Use only high quality dry erase or damp erase markers.